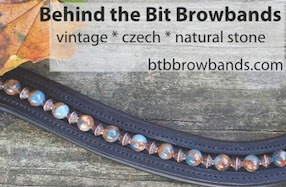 Behind the Bit: Hilary Clayton at Hilltop Farm -- I'm going! Hilary Clayton at Hilltop Farm -- I'm going! I'm already signed up for the Hilary Clayton Seminar to be held at Hilltop Farm on March 24-25 (Colora, MD). I think Clayton must be the happiest, or at least the most fortunate, woman alive. She is an accomplished dressage rider (I want to say she rides Arabs), AND she has made this passion her life's work, AND she contributes significantly to the horse industry and the equestrian community. She is a veterinarian/researcher who studies of perhaps the most critical issue of sport horse performance -- conformation, gait mechanics and soundness. Think about it. For years we have gone on the best intuition of horse experts in our development of sport horses. Hilary is testing some core assumptions -- for example, the belief that there is a moment of suspension in the piaffe -- and proven many of them wrong. 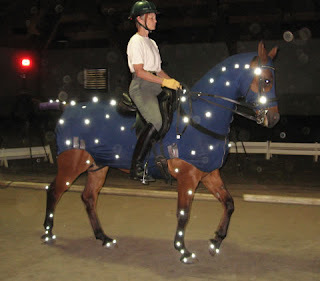 She has written articles for the USDF Connection, Dressage Today, and other pubs, and I've obtained some of her books, and chapters within books, of her writing on gait mechanics. I've read them and re-read them. When I read she is going to be delivering a lecture series at Hilltop Farm in March, using live horses to demonstrate her points, I sent in my entry right away. Very cool! I've read a lot of her articles and usually learn something new. I wish I had a way to get down there... Would love to hear what she has to say about the conformation and mechanics of my non-traditional horse! Okay, I'm officially jealous! Big Clayton fan myself. Sniff. Super stuff. Looking forward to your reports. She is truly a woman of these times. I admire her also. I look forward to hearing a report. thank you so much for what you do here.